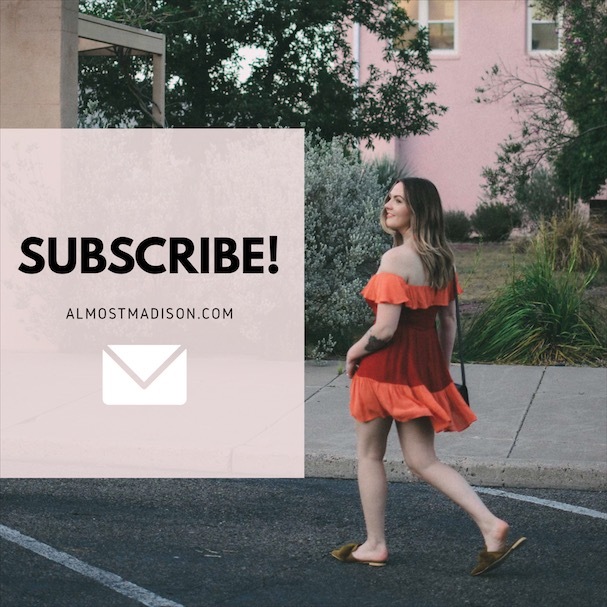 I’m Madison Kiernan, a Texas-based life and style blogger. The man behind the lens is Robert Paine, and together we make up the duo that is Almost Madison. 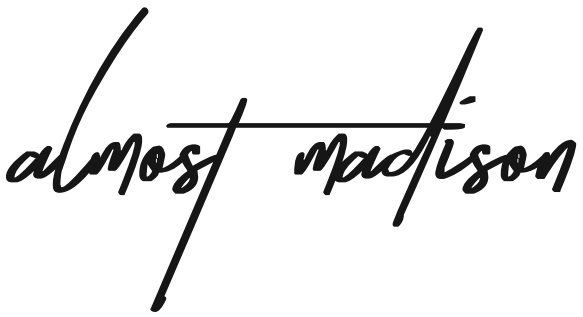 Almost Madison is a life and style blog that highlights trend-driven looks using a mix of new and vintage pieces and provides an inside look at approachable elevated style and evolution of personal style. Want to ask a question or say hi? Have a project you want to work together on? Most of my shopping is done online, but there are a few places around Fort Worth that I tend to frequent, including Madewell, Beehive and local vintage shops. Online, I like ASOS, Zara, Mango and Revolve. I work full time at an advertising agency as a social media specialist. I also work part time as a stylist for Stitch Fix – you can request me to style you here! We started out with a Nikon D5100 with a Nikkor lens, but we recently switched to Canon. We now use a Canon EOS 80D with a 50mm f/1.8 or 24mm f/2.8 lens.